United Nations Security Council adopted Resolution 1973 on the situation in Libya, proposed by France, Lebanon, and the United Kingdom. Ten Security Council members voted in the affirmative (Bosnia and Herzegovina, Colombia, Gabon, Lebanon, Nigeria, Portugal, South Africa, and permanent members France, the United Kingdom, and the United States). 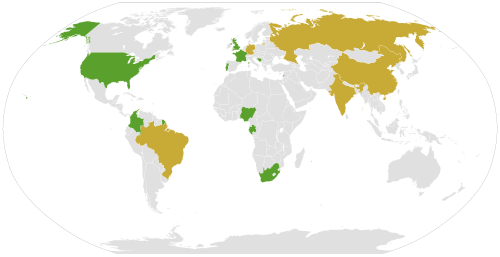 Five (Brazil, Germany, and India, and permanent members China and Russia) abstained, with none opposed. The resolution formed the legal basis for military intervention in the Libyan civil war, demanding “an immediate ceasefire” and authorizing the international community to establish a no-fly zone and to use all means necessary short of foreign occupation to protect civilians. On 18 March, Muammar Gaddafi’s government announced that they would comply with the resolution and implement a ceasefire. However, it quickly became clear that no ceasefire had in fact been implemented. Libyan opposition forces in Benghazi cheered and fired guns and fireworks into the air as the resolution was adopted. A few hours before issuing the resolution, Gaddafi warned the opposition with a speech saying, “We are coming tonight, and there will be no mercy”. The 2010 United Nations Climate Change Conference (COP 16) negotiations continued this week in Bonn, Germany. The 4,500 attendees include government delegates from 182 governments, representatives from business and industry, environmental organizations and research institutions. COP 16 which will be held in Cancún, Mexico in November. Luis Alfonso de Alba, Mexico’s special representative for climate change, told Reuters, “Mexico does not want to raise false expectations but we certainly are ambitious”. The U.S. State Department says Iranian President Mahmoud Ahmadinejad has applied to visit the United States as part of an Iranian delegation to a U.N. nuclear conference in New York. State Department spokesman P.J. Crowley said Wednesday the United States has a responsibility as the host of the U.N. headquarters to accept the Iranian president’s visa request. The vice president of the United States, Joe Biden, said yesterday that he expects the United Nations to implement new sanctions against Iran be early next month. Biden said that “I believe you will see a sanction regime coming out by the end of this month, beginning of next month”. 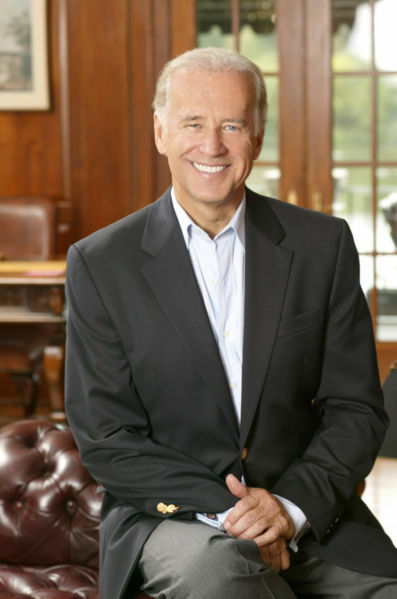 Biden said that China, which had previously been opposed to sanctions against Iran, would take part in the latest round. UN diplomats are presently engaged in the process of developing the new sanctions, which will be the fourth resolution against Iran’s nuclear program. According to Biden, the latest sanctions would mark the first time the world was unified in its opposition to Iran’s nuclear program. The United Nations’ former top official in Afghanistan has accused Pakistan of impeding negotiations between the Taliban and Western nations. The official, Kai Eide, said that the arrests of high-ranking Taliban officials by Pakistan had led to the disruption of talks between the Taliban and the United Nations in Dubai. According to Eide, the two parties had conducted “talks about talks,” but they had broken down completely after Pakistan’s arrests. Al-Shabaab, the Somali opposition group, has said it will stop food operations by the United Nations’ World Food Programme (WFP) in the country, accusing the agency of being politically motivated and disadvantaging local farmers. Al-Shabaab said that the agency was ruining local farming, as the quantity of the food aid didn’t allow farmers to sell their goods at reasonable prices.